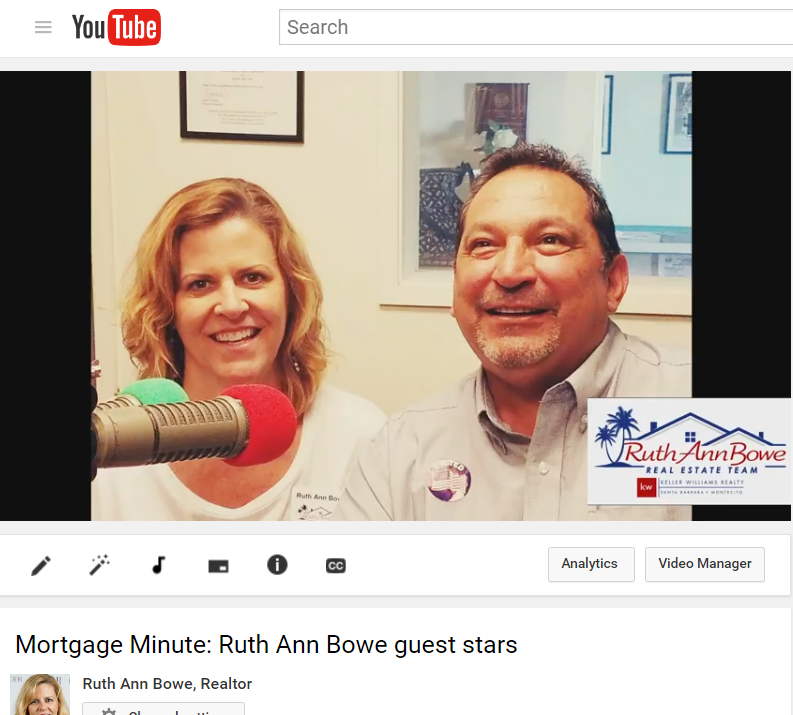 Check out Ruth Ann Bowe, Realtor at Keller Williams Santa Barbara on Guy Rivera’s KZSB 1290 radio show, Mortgage Minute. This edition featured a lively discussion of the Santa Barbara real estate market. Also, what qualities the key players in any transaction must have to successfully guide your home buying/selling experience. With decades of combined experience, Ruth Ann and Guy have some great pointers here!